iOS comes with Share Extension to share content between Apps. This makes it easy to create new tasks with content from other apps. Now select our app. If you cannot see our apps in the list, go to the right of the app list and select "..." to activate the Share Extension (this has to be done once). 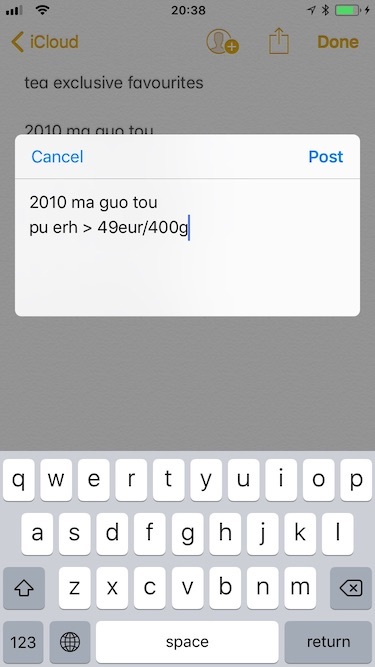 You can modify the text before tapping "Post" to create the new task. The new task will not be created immediately, but saved in a buffer area. Swich to our app to create all stored tasks from the buffer area in the Inbox. Tap and hold any attachment to display all apps that can receive and process the selected content. Now select our app (see section "Creating Tasks from Text Selection"). This displays the Share Extension and let's you add a task title to the attachment file, then tap "Post". The new task will not be created immediately, but saved in a buffer area. Swich to our app to create all stored tasks from the buffer area in the Inbox. Tap the Share icon (square with arrow upwards) in the Photos app to display all apps that can receive and process the selected content. Tap and hold any file in the Files app to show the edit menu, then select "Share" to display all apps that can receive and process the selected content. 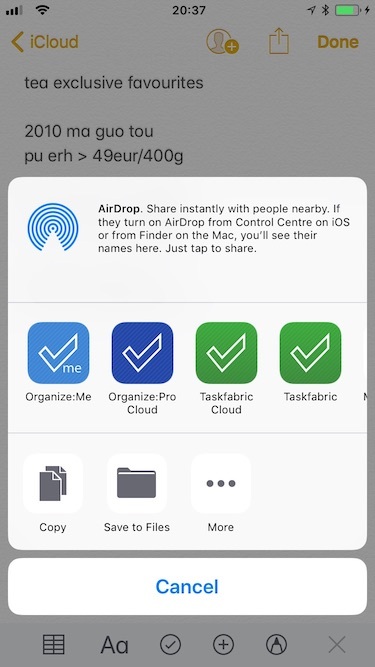 Tap the Share icon (square with arrow upwards) in Safari to display all apps that can receive and process the selected content. You can create tasks in our apps form any other app that support Share Extensions. 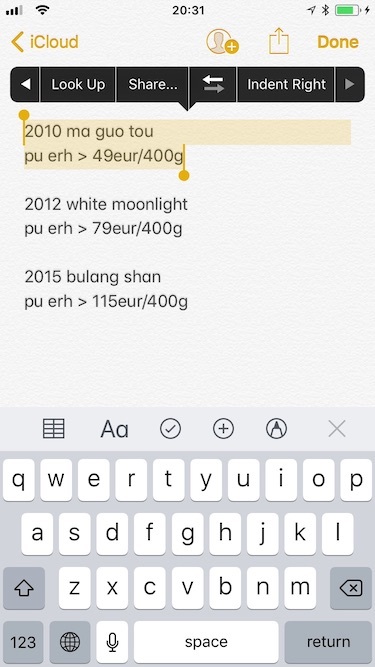 Usually you either have a share icon (square with an upwards arrow) or you can tap and hold images to show the Share Extensions.